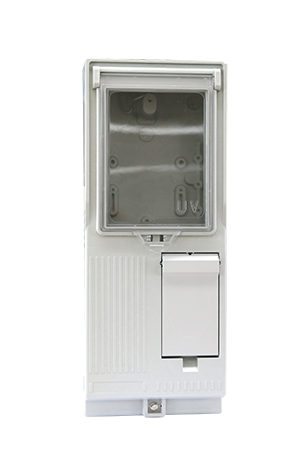 SMC meter box is an effectively protective solution with high mechanical strength, weather-proof and enhanced anti-tamper properties. 1. Installation: wall-mounted, pole-mounted and DIN-rail. 2. Shockproof, dust free and anti-tamper. 3. Protection level: IP33 to IP65. 4. Sight window for consumption reading, separated operation chamber for end user. 5. Built-in lock, free from external mechanical force and atrocious weather.